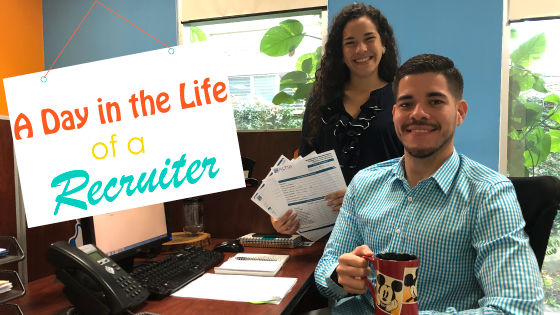 Have you ever wonder what a recruiter´s day looks like? First of all, let me tell you a curious fact about recruiters… Their most common and favorite statement is “I need more than 24 hours a day to finish my pendings” and I´m sure you understand what I´m saying because you expect a call for today, and you’ll probably receive it tomorrow. The truth is that every day is a new adventure for a recruiter. Their job is to look (even under the rocks) for amazing candidates to work for the companies. They are commonly related to Super Heroes… why? Because they need to have some special abilities, for example: Speed power like Flash, Telepathy Power like Professor X, Leadership like Captain America and many others, you know not all Heroes wear capes. But you must be wondering about their first activity of the day. Yes, Coffee Time! Many recruiters can´t start their day without coffee and we don’t blame them, they have to deal with so many problems and no answered calls that a cup of coffee won’t be enough for a day. While enjoying the coffee, is time for calls and Emails. This is the special part of recruitment. Their day is full of calls; every call they make is different, some are funny, others are weird and others, well… we will never know ‘cause candidates don’t answer. But not everything is just calls, recruiters also have to look and read a lot of resumes during the day just to find the perfect candidate that matches with what the company needs. On of the coolest part of the recruitment process is the face-to-face interview, and it is an important duty of the recruiters every day. This is where all the magic takes place, because you are exposed to attitudes, preferences, and much more information about the candidate that is impossible to know just by a call. Another important activity in the day of a recruiter is to check professional and personal references for candidates in the final stage of the process. Prepare the offer letter and oversee for all the paperwork and of course celebrate that they found the perfect candidate for the vacancy. So, that´s how a day in a recruiter´s life look like. At the end, the most rewarding part of their job is to discover that their candidate was selected for the position. It totally gives them motivation and delight, not to mention that they are the ones helping you build a successful career for your life. Altia Business Park has the best recruiters ever! Don´t miss the opportunity to get to know them and apply for a perfect job with their help.